You must make reservations at least 5 minutes in advance of the time at Porcini - Philadelphia. White table cloth Private room available for 15 to 35 guest with private restroom .Sit down service,with several dinner menus to choose from. 2012 through 2017 DINERS CHOICE AWARD . Located in the Rittenhouse Square area of center city Philadelphia, established in 1996. Porcini is rated by Zagat as a top 1, 000 Italian restaurant in America with a food score of 24. 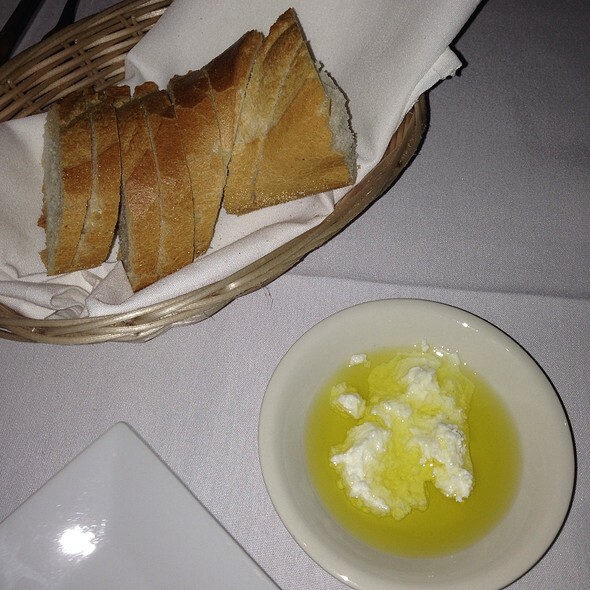 We are also recognized as the original and premier authentic, BYOB-style Italian restaurant in center city, as well as in the Philadelphia metropolitan area. Located at 2048 Sansom Street. In a circa 1840's coach home, enjoy classic, imaginative Italian cuisine & fresh made pasta . Historical Sansom Street offers entertainment at Helium Comedy Club, Adrien Theatre Shakespere Theatre , and Roxy movie theater, just doors away. Enjoy your visit to historical Sansom Street & Porcini Restaurant. Valentine Day Dinner will be a special menu posted February 1st. ​$55 to $65 per person. Slight changes to menu will apply seasonally and weekly. Baby squid, char-grilled, finished with Mediterranean olive garlic marinade. oven roasted Roman artichoke hearts with extra virgin olive oil roasted garlic and herbs. PEI mussels simmered white wine, garlic, or fresh plum tomatoes. grilled black Angus filet mignon tips, balsamic drizzle, and gorgonzola dolci. Thin sliced eggplant layered with fresh mozzarella, Pecorino Romano, plum tomato sauce, and basil. thin sliced aged Italian ham, extra virgin olive oil, shaved Reggiano Parmigiano and baby arugula. roasted bell peppers stuffed with risotto and Italian sausage. grilled sweet Italian sausage on firm polenta, Long Hots, tomato cruda. 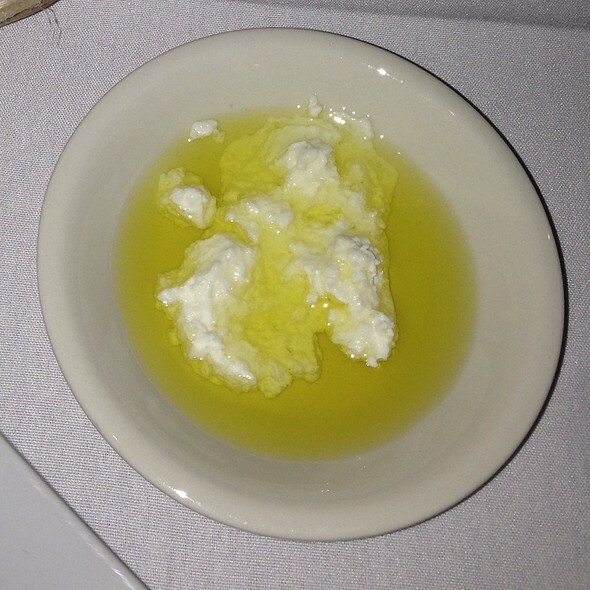 fresh mozzarella and ricotta blend, tomato slices, mix olives, Tuscan olive oil and basil. crisp romaine, fresh croutons in classic house dressing. 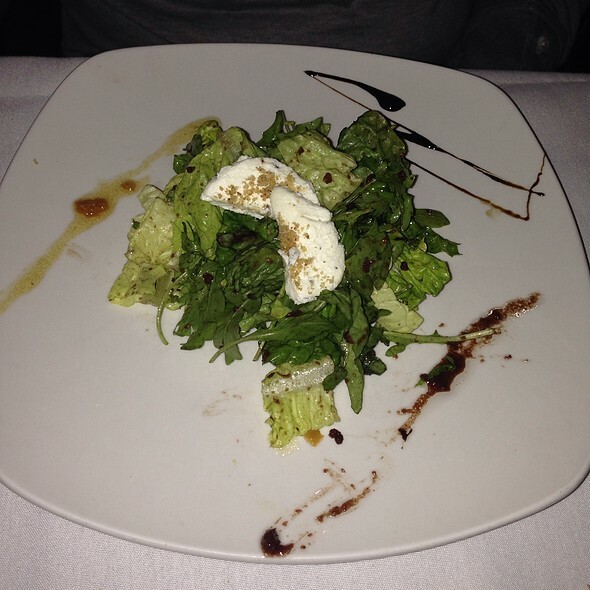 crusted warm goat cheese, arugula and mixed greens, dressed with Sicilian crab-apple marmalata dressing. Romain, red onion, seasonal tomatoes and Italian condementi. tube pasta tossed in Northern Italian meat sauce. 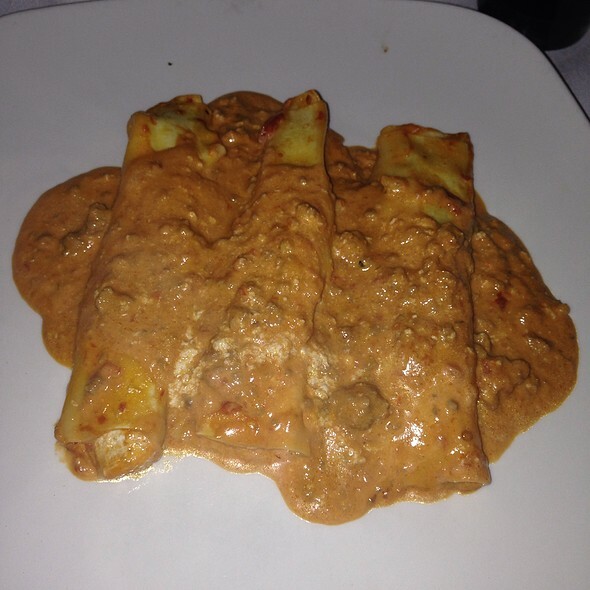 fresh hand rolled pasta crepe, filled with spinach and ricotta cheese in blush sauce. hollow spaghetti tossed in San Marzano sauce with crispy guanciale. Emilio Romano fresh pasta, Aurora sauce and crispy guanciale. house specialty, ravioli stuffed with braised veal shank and mascarpone cheese, sautéed in sage butter on Osso Buco San Marzano gravy. Gulf shrimp, baby squid, jumbo crab, and mussels in plum tomato white wine sauce, over fresh linguine. orino style half-moon ravioli with ricotta, fontina cheese filling, in pecorino cream sauce and peas. our exclusive top cut veal medallions sautéed with exotic mushrooms, flambéed in imported Marsala wine. 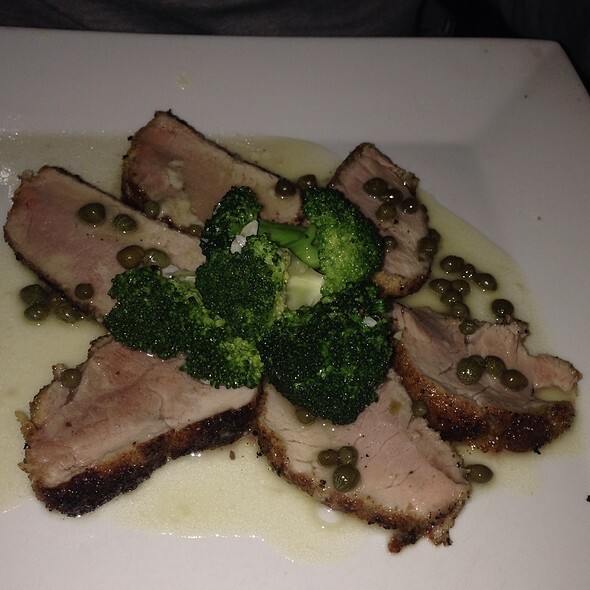 thin boneless chicken breast medallions encrusted with Italian seasoned bread in white wine lemon caper sauce. pistachio, honey, Dijon mustard encrusted center cut pork medallions, with sweet aged balsamic drizzle. It’s not possible to have a bad meal here. Dave makes you feel like you’re sitting in his family’s dining room. Always there to make you feel welcome and joke. Can’t recommend this place enough. Keeps me coming back. Great experience and great food. A must visit restaurant when we are in town. Seems to have gone down hill a bit. Food not as tasty as previous visit. 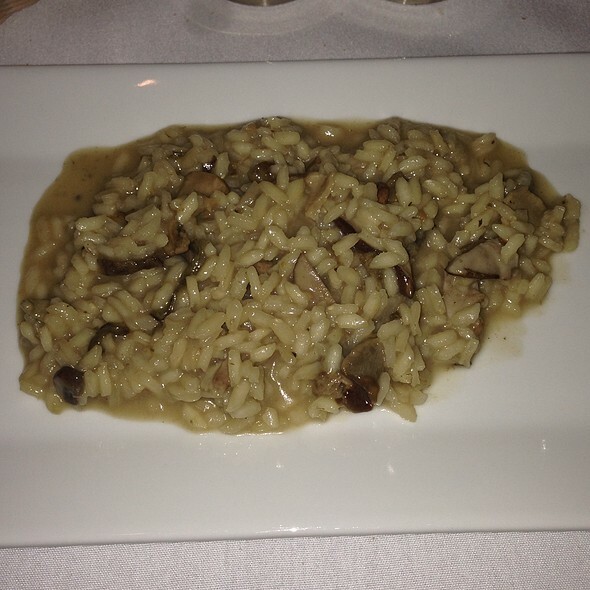 The food at Porcini is always first-rate. My top reason for going. Menu changes will be delicious, I know. I greatly prefer the intimate (OK, crowded if the place is full - around 30 seats?) atmosphere to a larger space. The enthusiastic, gregarious brother (second brother cooking) is a great host in the front. Will return again and again. Our out-of-town guests are delighted when we eat there. Food never disappoints and the servers are awesome! On my most recent occasion, we sat in the middle of the main floor and the noise was so loud, we had a hard time speaking with the other couple across the table! 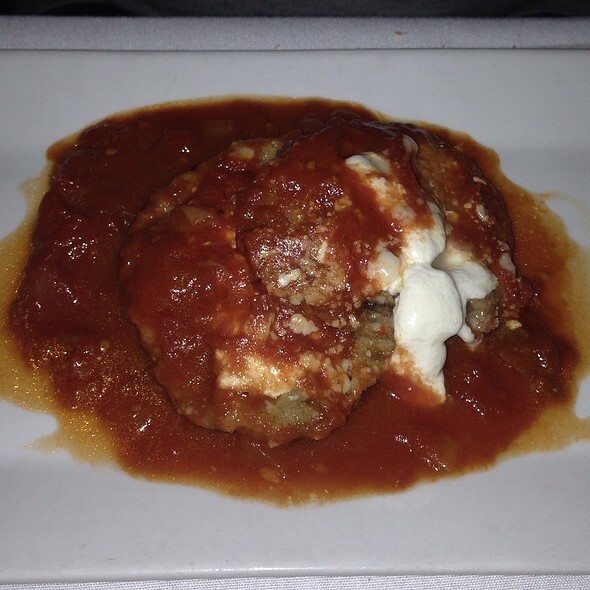 The stuffed peppers and eggplant aps are amazing as well as the Canolloni pasta and the Chicken Milanese. Nice waiters but the food unimpressive. The bucatini carbonara was bone dry and not just my order. Three people at our table ordered it and all servings were dry. And the osso buco ravioli was tepid. No deep rich flavor as we hoped. It is always great but this time, it was better than ever! The food here is always authentic Italian and superb! A friendlier atmosphere you couldn’t find anywhere. While on a busy night (of which there are many) you may feel as if you’re climbing over the tables of others to get to your own, what they offer you when you arrive at your own is a prize, indeed. I have been here multiple times. Have never been disappointed. Food is tremendous, family atmosphere, can’t wait to go again. Excellent meal. Attentive staff. Unique location. Will definitely be returning. My only hesitation to review Porcini is that it may prevent me from reserving a seat in the future - it so outstanding. I have eaten here several times, introduced to this wonderful Sansome Street gem by an Italian work colleague a couple of years ago. Philly is blessed with numerous authentic, outstanding Italian restaurants (it is home to more Italian-Americans than any other North American city except for Toronto), but when I asked my colleague to name his favorite "home cooking" in the region, he did not hesitate to mention Porcini. It is a BYOB, small, nondescript place that seats maybe 30 or 40 people. The food is as good as I've consumed anywhere outside of Italy. 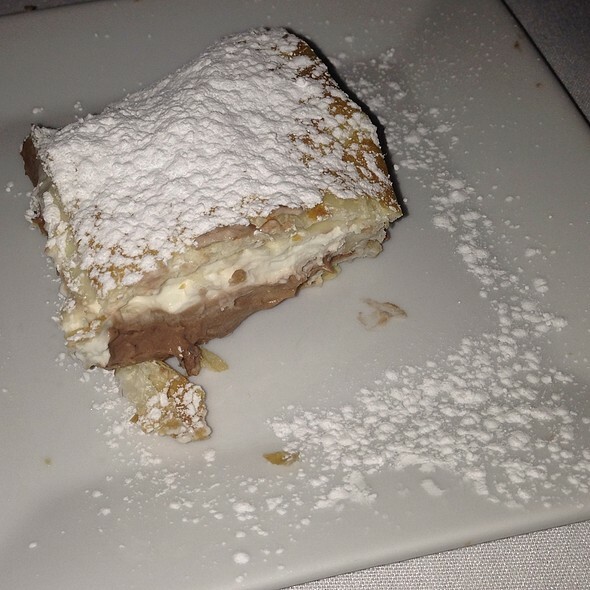 The pasta is fresh, the grilled tenderloin appetizers delightful, and the puff pastry dessert is out of this world. Great service, and the owner, David, makes a point of visiting the tables to make sure everyone is satisfied. Parking is easily available at a pay garage across the street. Food and service were both wonderful! Both owners and the waitresses made us feel welcome and special - and both of our salads and entrees were incredibly fresh, tasty, and unique. I love this place - and can’t wait to come back! Great meal. Great service. Friendly owner, Dave, treated us like old friends! Great food, great service. Tiny BYO makes you want to come back for more. The food is absolutely delicious! We had an assortment of appetizers and all were wonderful! The artichokes were particularly excellent. The main courses especially the pasta special were fabulous. Some of the best Italian food to be had in Philadelphia! Food was very good and the service was great. Only thing that could use a little help is that the tables are too close together but I guess one could say that's part of the allure I don't know. I don't like to sit right next to people I don't know and I like to be able to get in and out of my seat easily (I'm thin and it was a challenge). Overall I recommend this restaurant because the most important things- the food and the service- were great! Great food, incredibly friendly service and ambience. The best Rittenhouse area restaurant you may not know about (even though it’s always full). No pretense. Excellent food. A 'neighborhood gem'. We dine here frequently. The chef and the host are brothers and are very accommodating. Food was excellent and the service was great! Can’t wait to go back. The best service, food and location. Our favorite Philadelphia restaurant!! The food at this long time neighborhood favorite is always DELICIOUS! The halibut special was a gorgeous cut of fish prepared to perfection! Grilled artichokes and Osso Buca ravioli are must haves every time we dine here! The food was excellent. It was the perfect place to eat for a date. Great service and it was never too loud. First the good: staff are welcoming and helpful without being intrusive. My wife’s veal Marsala was very tender and tasty. Now, the rest. We entered the low ceilinged and run down dining room and were given a warm table (very welcome on a chilly evening) in the back. When asked about our water preference, the host (owner maybe?) asked if we would like ‘a nice Pellegrino’. When we selected tap water, as option not offered, and said we were not drinking wine, he lifted the 2 glasses at our table by sticking his fingers into them and left without a word. We ordered. I started with the calamari salad. Swimming in an acrid dressing were a few calamari rings, and a few more in larger chunks that had not been sliced completely though. Not a big deal if could have tasted anything other than the plethora of capers in the dressing. Once I had picked the capers out, the calamari were well cooked but the salad portion was a few baby lettuce leaves, a half dozen winter tomato dice and one bit of basil. My wife’s risotto was good, if salty. For entrees, my wife enjoyed her veal. I had ordered a special: mushroom pappardelle, described as portobello mushrooms and pappardelle in a rich brown sauce. What arrived was a plate of pappardelle, well cooked from dried, with maybe one portobello cap that has been hacked into random size pieces and tossed in a thin, reddish sauce that made me yearn for the dressing on my salad. I ate the mushrooms and some of the pasta. The broccoli rabe was unseasoned and brought without lemon to rescue it. The shocker came when my entree billed out at $30.50. I admit I didn’t ask the price when this special was offered, but a vegan option that was more expensive than the veal is really unacceptable, especially when it was only edible. If I thought the kitchen were capable of doing any better I would have sent it back. As it was we cut our losses and went home. Maybe the desserts and coffee here are wonderful; we’ll never know. Wonderful small friendly restaurant. Owner and chef are great and the food is delish-and it's BYO!!!! 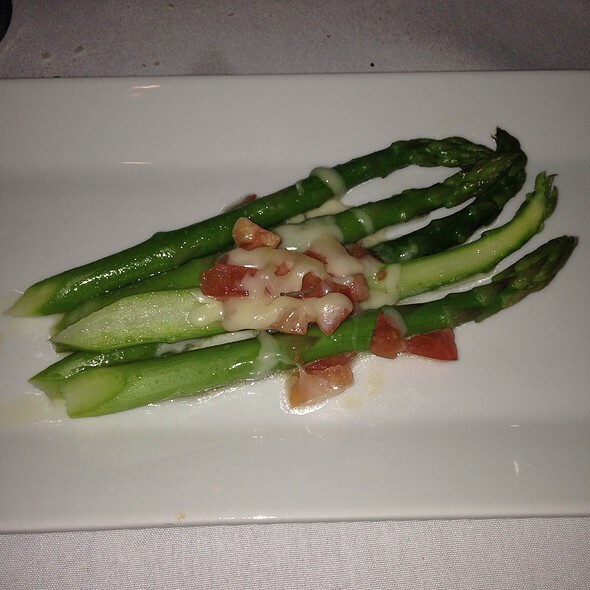 Food was excellent as always and the service was great as well. Unfortunately when booking there wasn’t a notification that their regular menu is unavailable during restaurant week, and being the last night of restaurant week the meal just felt really tired and uninspired. Same thing thrown together for the past 14 days in a row and the effort was lost. I wasn’t aware that this is a BYOB restaurant and was embarrassed when I asked for their wine list and other tables around me felt bad and offered me some of their wine. Great experience overall and I’ll go back but tell people when they make the res that it’s BYOB. The food was good, the service was excellent. But the noise level and cramped quarters was very uncomfortable. The tables are packed so close that I felt it was an actual safety issue. And the noise level was so loud that my husband and I could not have a conversation . We decided to forgo dessert. The food and service was very good. The only reason I didn’t rate it a 5 was because the place is small and space is awkward if you arrive and your table is not ready. It is one of those places that’s a rowhome converted to a restaurant and you are sitting on top of each other and have to walk down a steep flight of stairs with a low ceiling to use the bathroom. That was the only awkward part. Always a great meal and night out with Porcini!!! Food is good, basic Italian fare that can be found in many Philly restaurants. Decor needs to be spruced up — old paint and carpeting. Great food, charming atmosphere, excellent service and friendly, solicitous owner. I highly recommend this gem.